​The purpose of the Solid Waste Management and Convenience Center is to provide proper collection and disposition of all items collected by the department. The Convenience Center encourages citizens to properly separate waste items and informs residents about the dangers of improper disposal through the educational waste disposal campaign. DESIGNED BY THE WEAKLEY COUNTY GIRL SCOUTS, THIS FLOAT WAS MADE UP ENTIRELY FROM RECYCLED ITEMS. 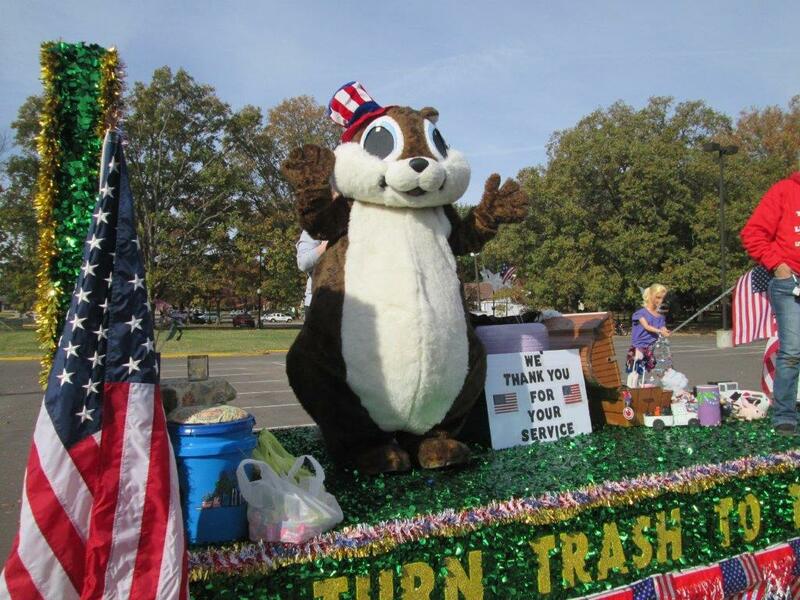 THE NEW MASCOT FOR WEAKLEY COUNTY SOLID WASTE IS "LIBERTY" THE SQUIRREL. Call the Solid Waste Department to find out more about what types of items are acceptable.